Australia is often portrayed as a nation of excessive beer drinkers, but it is the nectar of the Gods- the wine industry, that has boomed over the last 10 years! 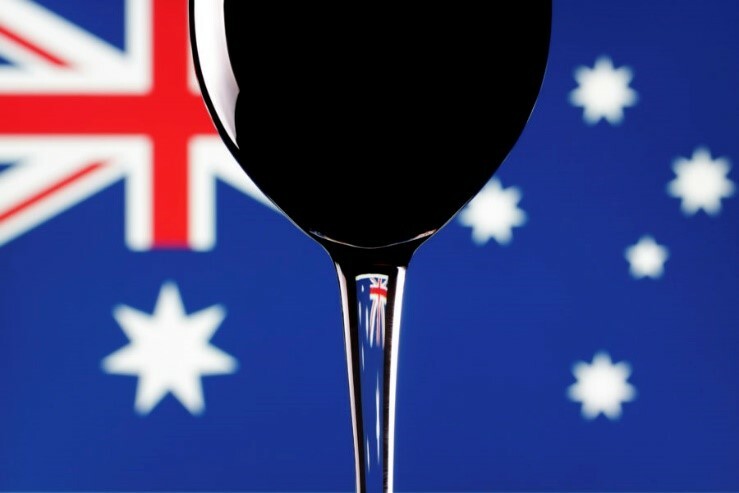 Australia is currently in the top 10 of the largest wine producers in the world and has more than 2400 wineries in 65 wine regions around the country. These regions grow more than 100 grape varieties and over 30 million glasses of Australian wine are enjoyed around the world every day. Wine lovers are continuing to discover the variety and quality available from wine regions, with domestic consumption and increasing export volumes encouraging further expansion. Due to its diverse geography and climate the country produces a wide range of wines across each of its states. Each region reflects its own unique characteristic taste and flavour imparted to the wine by the environment in which it is produced. Most of the wine production is concentrated around the southern parts, near the coast where the climate is cooler and more Mediterranean, with the north being just too tropical and the centre too hot and dry. The three major wine regions in Australia are South Australia, New South Wales and Victoria. South Australia and NSW tend to be more famous for their warm climate varieties such as Shiraz and Cabernet Sauvignon whereas Victoria is known for cool climate-loving Pinot Noir. In recent years, the island of Tasmania and the state of Queensland started to have their success with its cooler more moderate maritime climate, cooled by prevailing westerly winds off the Southern Ocean. In Australia the more popular Chardonnay, Sauvignon Blanc, Pinot Gris Muscat, Riesling Semillon, Cabernet Sauvignon, Shiraz, Grenache, Pinot Noir and Merlot are found however European varieties are also increasing their popularity such as Tempranillo, Sangiovese, Touriga, Barbera, Vermentino and Fiano. Acclaimed throughout the world and located less than two hours’ drive from Sydney, the Hunter Valley is Australia’s oldest wine region. Established in 1832 the Godfather of Australian wine, James Busby, brought 20,000 vine cuttings to Australia from Europe and so helped make the Hunter Valley a key wine region and in turn establishing Australia as a grape-growing country. Understanding that the region’s warm and humid growing conditions combined with red clay loam soils now produce some outstandingly earthy Shiraz, which develop unique complexities with age, as well as the Hunter Valley Semillion and full flavoured Chardonnay being iconic Australian white wines. Young winemakers are exploring innovative new varieties and styles such as Tempranillo, Barbera and Fiano. Two hours’ drive from Sydney the Hunter Valley is one of the more accessible wine regions in the country and is the sixth most visited place in Australia, attracting more than 2.5 million people annually. The Hunter Valley’s proximity to Sydney lures event organisers and famous performers such as Elton John and The Rolling Stones. A dynamic wine region with more than 150 premium wines and well-known names as Brokenwood, Peppertree Wines, Tyrrells, Audrey Wilkinson, Waverley Estate, Peterson House and Scarborough Wine Co. 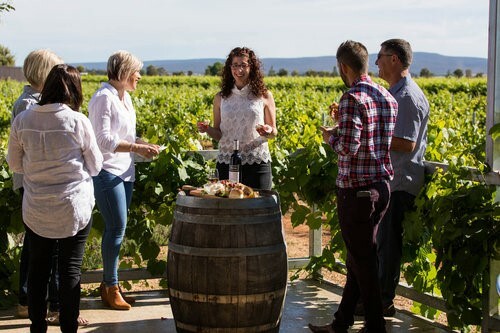 Visiting the generational family wineries is a wonderful history lesson steeped in superb wine as well as being one of the iconic experiences for those visiting Australia. Barossa Valley is home to some of the oldest living vineyards of the world, some of the vines being over a century old! Established by German settlers dating back to 1842 many of the vineyards are still abundant today. For over 160 years generations of grape-growers and winemakers have established this fertile land with the most common grape being the Shiraz. Located about 50 minutes from Adelaide, Australia’s most famous wine region is set in the picturesque rolling hills of the Barossa Valley, clusters of villages, stone churches and most importantly over 13,000 hectares of vines. Home to more than 550 grape-growing families the region has more than 150 wineries and 80 cellar doors, so there are plenty of varieties to sample. North of Adelaide, the Barossa region is one of the only wine regions in Australia to have neighbouring warm and cool climate growing conditions for its vines. The full bodied, smoky and rich with spice Shiraz, as well as Cabinet Sauvignon, comes from the warm Barossa Valley. The region also grows grapes for Barossa Sémillon, Pinot Noir and Chardonnay with the Barossa Grenache and Mourvedre, growing in reputation. The cooler white wine bordering regions of the Eden Valley, produces its mineralised and dry Rieslings, with the neighbouring Clare Valley having a warm ripening period, producing some of the richest Riesling in Australia. Famous producers in the Barossa area include Penfolds, Jacob’s Creek, Elderton and Rockford. With such a range of growing conditions and soil types, as well as vineyards which have been established by several generations of grape growers and wine makers, you are certain to find a wine you will fall in love with. Located less than one hour’s drive from Melbourne, Yarra Valley is set amongst rolling green hills and a backdrop of blue mountains. This picturesque valley produces some of the world’s best cool-climate wines and is known for the restaurants serving locally produced food to match the flavour of their wines. 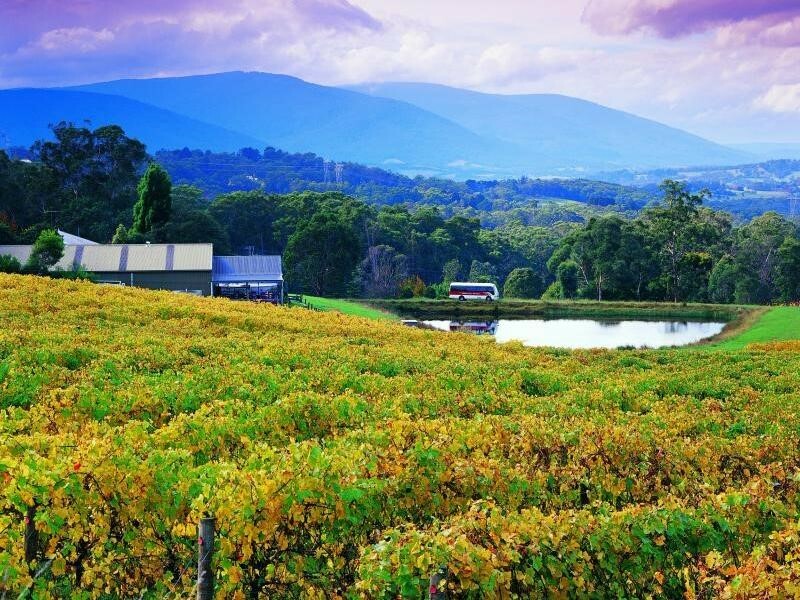 The Yarra Valley has been producing premium wine for more than 150 years and was Victoria’s first wine growing district as well as the birthplace of Victoria’s wine industry. It boasts 300 vineyards and 160 wineries with the region’s cooler climate enabling the production of modern classics, Chardonnay, Pinot Noir, Cabernet Sauvignon, Shiraz, and sparkling wine. Nowadays the Yarra Valley is home to a new frontier of revolutionary winemakers who are using the fertility and diversity of soil types to produce emerging varieties of promising wines such as Arneis, Gruner Veltliner, Gamay, Nebbiola and Innovative savoury Rosés. Home to some of Australia’s largest wine companies, such as Rochfords, De Bortoli, and Yering Station as well as rustic family owned cellar doors and small boutique wineries such as Oakridge or Sutherland Estate, offer sensationally unique experiences. The Margaret River Wine Region first saw European settlement as late as the early 1830’s, but did not become a wine producing region until the 1970’s when scientific work recognised its gravelly sandy loam and Mediterranean climate as being perfect for growing grapes. In only 50 years the region has built up a reputation as capable of achieving equivalent world class wine quality with over 5,000 hectares under vine and over 150 wine producers in the region. Just over three hours’ drive from Perth, the Mediterranean climate of cool frost free winters, good soil, low summer rainfall and long slow ripening period, the conditions are nearly perfect for grape growing and so together with viticulture practices produces consistently high quality fruit of intense flavour. Powerful Chardonnay and Cabernet Sauvignon are the region’s flagship varieties there are also formidable Semillon, Sauvignon Blanc, Riesling, Merlot and Shiraz. Even though the region contributes only 3% of the country’s wine grapes it dominates over 20% of today’s premium wine market. 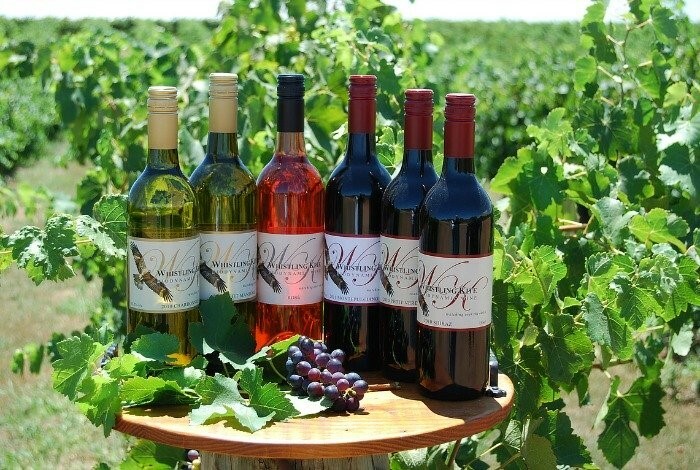 Margaret River has a vibrant and innovative wine making industry with boutique wines and progressive attitudes and trends in growing grapes and winemaking. Grand estates such as Leeuwin, Voyager, Sandalford, Devil’s Lair, Brookland Valley and Xanadu wines are just some of the regions wineries which produce premium wines that are internationally renowned. Located in the south eastern corner of South Australia, almost midway between Adelaide and Melbourne, Coonawarra is well regarded as Australia’s top producer of premium red wines. The region was first planted in the 1880’s but did not survive, as there was a period up until 1945, when most of its wine was distilled into brandy. There was a comeback to wine in the 1950’s and now Coonawarra is regarded as Australia’s most famous piece of dirt, renowned for its affinity with Cabernet Sauvignon wines. Coonawarra is a small region, about 20 km in length and 2km in diameter. The area, otherwise known as the other “red centre”, has rich paprika-red terra rossa soil which along with the red clay, eroded limestone rich soil and pure underground water. Coonawarra is only 100km inland and so a mainly maritime climate prevails with dry and moderately cool summers, that combined regular cloud cover moderates the summer ripening period, creating perfect conditions for grape-growing. The area has 36 wineries and vineyards all being close together and well signposted. 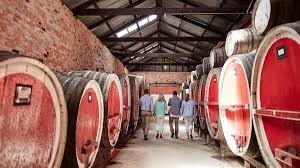 Most cellar doors offer wine tasting and there are plenty of wine tour operators available which together many onsite restaurants you can match local produce or food dishes with quality house wines. Some of the most popular brands located at Coonawarra are Wynns, Hollick, Katnook Estate, Di Giorgio, Zema, Rymill, and Majella Wines with their premium red wines winning many awards. A 40 minutes’ drive south of Adelaide, McLaren Vale is Australia’s most environmentally progressive wine region and is one of only a few Australian wine regions to have been given special ‘character preservation’ legislation. As the birthplace of wine in South Australia dating back to 1838, it offers abundance of soils which bask under a Mediterranean climate and is a draw for some of the most creative winemakers around. With over 110 wineries these winemakers add an energy to a region and are adding change to the region with newer arrivals like Nero d’Avola. Vermentino and Fiano. The ability to produce first class varieties like Shiraz, Cabernet Sauvignon, Shiraz and Chardonnay still overflow in the region with other varieties including Tempranillo, Viognier, Marsanne, Barbera, Sangiovese and Rousanne on offer. 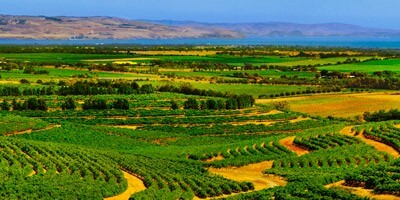 McLaren Vale is et amongst rolling vineyards, a rugged coastline and a charming collection of villages. There is a distinctly Mediterranean vibe as a result of being founded by Italian inspired wineries, such as Coriole, producing stunning wines like Sangioverse and Fiano or delightfully soft juicy Merlot. Primo Estate provides a touch of Tuscany, with a modern winery and a dash of Italian architectural panache. One of the best organic wineries is the Battle of Bosworth and Spring Seed Wine Co, who can be found on the same estate and produce Australia’s only organic Pinot Grigio as well as a fine Chardonnay, Moscato and Shiraz. Another new generation winery is Alpha Box & Dice who turn their wines into names like Golden Mullet Fury, Blood of Jupiter and Dead Winemakers Society! Other first class wineries include the long established d’Arenberg where you will find and exciting ‘Rubik’s cube’ cellar door and Wirra Wirra, famous for its Chruch Block Shiraz and its intense flavour Tempranillo wines. Located east of the Barossa Valley and set within a panoramic backdrop of limestone cliffs, the Riverland area follows the twists and turns of the Murray River to the Victorian border. The Riverland is one of Australia’s largest grape growing regions and by producing some 380,000 tonnes of grapes a year it contributes over a third of Australia’s wine grapes. With a warm and temperate climate, wine is produced to exacting and consistent standards each time and is home to some of Australia’s largest wine growing producers. Offering a diverse array of wineries both small and large, each winery offers its own unique or innovative varieties and blends. In Riverland, grape growers and winemakers are encouraged to make new styles and full flavoured wines. Some of the region’s best wineries include Banrock Station, Berri Estates, Angrove Wines, 919 Wines, Salena Estate and Mallee Estates. As the region continues to grow and explore new grape varieties, southern Mediterranean varieties such as Montepulciano, Nero d’Avola and Vermentino are gaining popularity. The Riverland has breweries too, which celebrate the German heritage influence. Wilkadene-Woolshed the Riverland’s only micro-brewery and is located on the historic sheep and wheat station Wilkadene on the banks of the Murray River. Riverina is located around the city of Griffin and Wagga Wagga. It is the largest wine producing region in NSW, covering an area of over 15,000 hectares. Located on flat tract of land on NSW’s south-west plains and lying at the foothills of a low range of hills above the Murrumbidgee Valley. The Italian influenced area, started grape production when irrigated water became available through the Murrumbidgee Irrigation Scheme in 1912. However it was waves of European migrants after the first and second world wars that gave the Riverina and its wine industry, a cultural identity unique to anywhere else in Australia. Their descendants are now third and fourth generation family wine making businesses and account for a significant proportion of Australia’s export success and acknowledgement around the world. 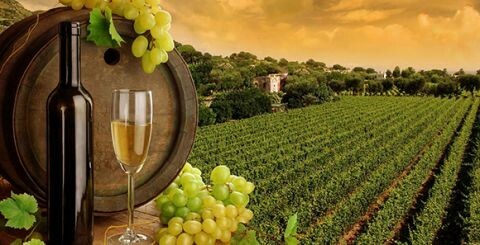 With a strong Italian wine and food culture the Riverina is also popular for its food and wine events during the year. As well as being the second largest wine producer in the country it is best known for its Bulk wines, so if you have ever tried an Australian cask wine you have most likely drunk Riverina wine! Of the fine wine producers two world famous ones are the De Bortoli family (who also have a large vineyard in the Yarra valley) renowned for ‘Noble One’ and the Casella family, famous for their ‘Yellow Tail’ brand. The region is very hot in the summer, comparable to other major irrigation areas in Murray Darling and Riverland regions. Hot dry growing seasons mean that the region is very efficient at growing grapes for wine and although it would seem that the region is too hot for white wines, modern technology has allowed the area to produce some good wines. Today the region boasts over a dozen different Botrytis Semillion wines each delicious and unique to their winery. Alternative varieties are grown as well and amongst these the prominent red varieties of Durif and Petit Verdot reflect the warmer climate. A rare Bordeaux variety is also made by the Calabria family called, Saint Macaire. Rutherglen’s history is steeped in gold and vines! Victoria’s wine industry has emerged as a consequence of supplying the rich prospectors in the 1850’s gold rush. With more than 150 years of tradition, there is a long tradition of passionate family owned wineries making award winning wines. Many wineries are housed in historic gold era buildings that provide an appropriate setting to taste the esteemed wines. The old vines that are the backbone of Rutherglen’s great fortified wines are grown on a band of loam on the lower slopes of gentle rolling hills called the Rutherglen loam. The climate is strongly Continental with very hot summer days and cold nights and when conditions are favourable the high sugar levels needed for fortified wines are attained. Impressive full bodied reds enjoy success including the classic varieties Shiraz, Cabernet Sauvignon, Merlot. Durif is the region’s speciality red wine, being full bodied with dark fruit and cola characteristics. There is also an ample quantity of Pinot Noir and Gamay, as well as other varieties on offer. Arguably the iconic king of Australian fortified wines is the elegant Rutherglen Port, Muscat and Topaque which all enjoy world class recognition. Today crisp whites, full bodied reds and well as world famous fortified wines are produced with unique regional character. In contrast you will find the next generation winemakers who are branching out to test their skills on new varieties, bringing a new style of wines to this traditional winemaking region. These include Savagnin, Tempranillo, Viognier, Marsanne and Fiano. The oldest of Tasmania’s wine areas date back to the middle of the 1800s with serious winemaking starting in the late 1970s with the establishment of vineyards in the Pipers Brook region with the Tamar Valley north of Lauceston producing about 40% of the state’s wine. With a cool climate that has long sunny days and dry autumns, Tasmania has ideal growing conditions for developing naturally elegant, pristine and intensely flavoured, aromatic wines. The area is fast becoming the region to beat these cool climate wines and is producing some world class Pinot noir and Reisling, with Chardonnay, Pinot Gris, Sauvignon Blanc and Gewurtztraminer, gaining recognition as top notch. The Tasmanian sparkling wines follow the Champagne varietal template of Chardonnay, Meunier and Pinot Noir.